I really struggle to find bath products I can use. I can't use scented ones or anything with lots of chemicals in because of my eczema. I came across Elements Bodycare and The Sponge Market and couldn't wait to try their products! Elements Bodycare Wholesalers sell a whole range of products such as bath bombs, brushes & files, bath salts, cotton gloves & socks, bath confetti roses and a lot more. With being a Wholesalers it's a great advantage to buy a bulk of products. Why waste money on buying their gorgeous products every month when you can buy enough to last you a half a year. Plus if you have a party coming up soon and thinking of goody bags then this website is the amazing solution. I really believe you pay for the quality of the range of products they sell. I received a honeycomb and a silk sponge last week and couldn't wait to jump in my bath. The sponges arrived in a see through resealable bag which is great for when your sponges dry out you can pop them back in there. These sponges are absolutely amazing. The sponges are hypoallergenic which means they are very unlikely to cause an allergic reaction. Trevor from Elements Bodycare quoted '' The cell structure is like a series of tubes, which make it highly absorbent and helps to remove the impurities out of the skin when showing ''. When I told Trevor about my senstive skin he suggested to start on a small area just in case although these sponges are commonly used for washing babies and used on most sensitive skin. All these sponges have been collected in a manner to protect the environment and to encourage re-growth which is absolutely fantastic. Normally when products come from abroad they are just rubbish and tacky made but when I found out these products had come from Greece I was so shocked at how beautiful and how much effort had been put in to them. 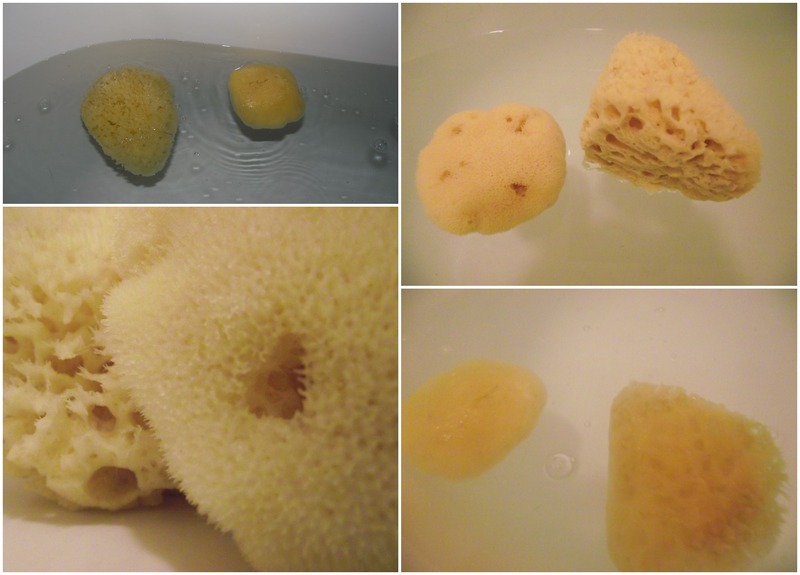 The honeycomb sponges are from the Mediterranean sea. This sponge is seen as the 'King of the Sponges' as they are the strongest and most lasting. The honeycomb sponge is very firm, very silky and highly absorbent. 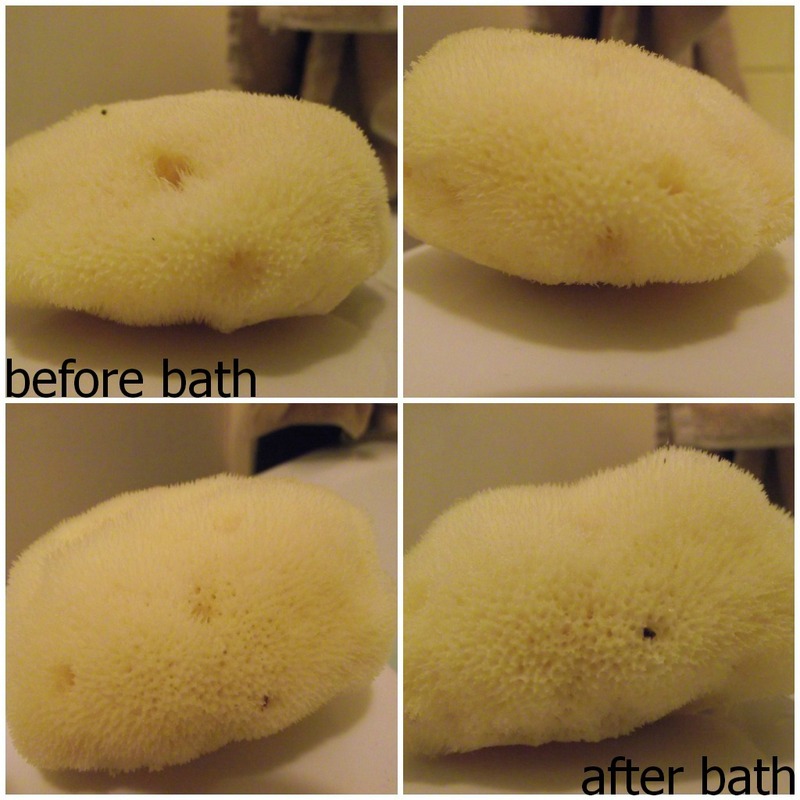 This sponge is great for exfoliating you skin. I use this for the whole of my body and leaves my skin very clean and smooth afterwards. The sponge went back the same shape after it dried and didn't flake apart at all. An absolute 10/10. I've thrown them horrible pound shop sponges away to make room for my new cleaning machine! The silk sponge comes from the Aegean sea. 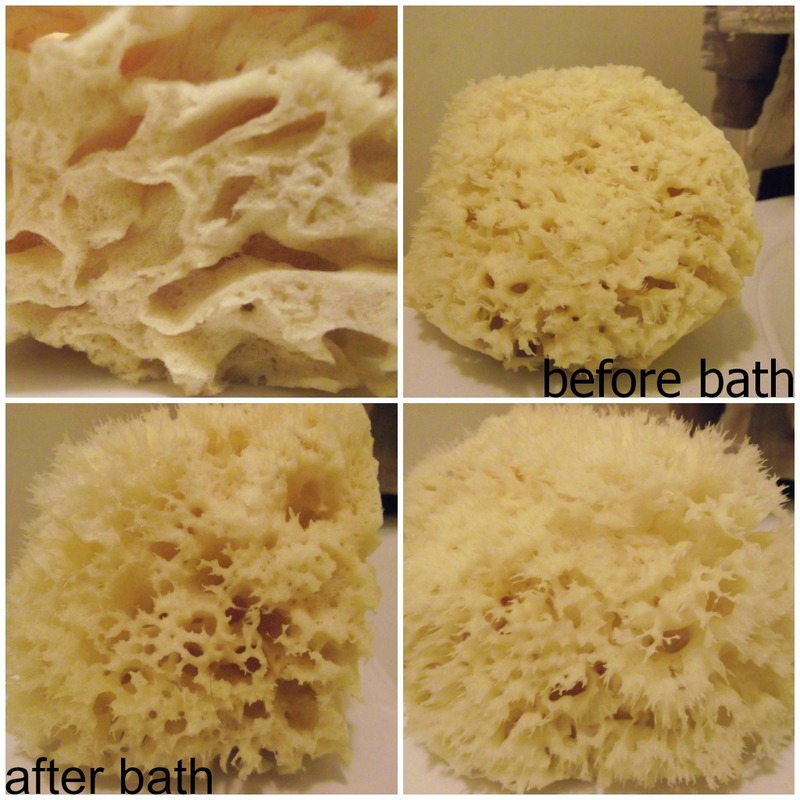 This sponge is the softest and smoothest sponge in the natural sponge family and you can really tell. The Sponge Market suggest to use this for deep intense facial cleansing. I don't like getting water in my eyes so I normally use a flannel to take my face scrub off but now I've started to use this sponge. With the sponge being so soft it's so much better for my skin and it's easy to remove my face scrub too. I really think this would be amazing for mothers to clean their babies faces. No harmful chemicals and smoother than a babies bum, what more could you possible want! Another impressince 10/10! 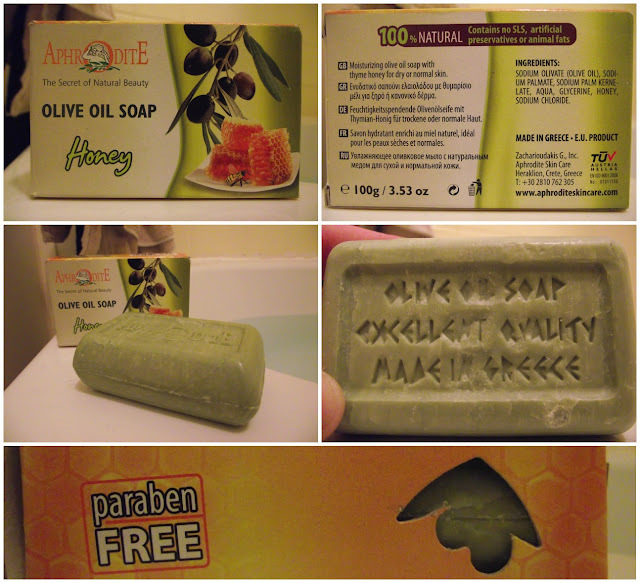 Trevor was so lovely to send me out a olive oil based soap after telling him how hard I find it to find a soap that wont cause irritation and inflammation. There is some really helpful and interesting information on the site about this soap, even mentions how this soap could help with reducing fine lines and wrinkles! I love how much effort has been put into this gorgeous bar of soap. '' Olive oil soap, excellent quality, made in Greece'' is written on the soap in a roman Greek font; how cute! I was so surprised to think I would really adore this soap. It's not something I really thought I would be washing myself with. This product has thyme honey in which gives my skin a gorgeous soft feeling. I've used this soap for about 5 times and since then my eczema has improved a hell of a lot. The redness has gone down so much I can actually see my wrists again. If olive oil can do that to my wrists and hands, I'm really going to have to try out their hair care products that Elements Bodycare sell. Actually scrap that, I want to try out all the olive oil products! Guess what? 10/10! The lovely people at have give my lovely readers a voucher code: LAUREN20 to use at The Sponge Market. The code is valid for a month and offers you 20% off so don't waste time and get your gorgeous products now! 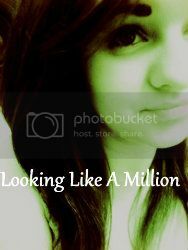 Hi I am a new follower to your lovely blog (Via GFC)and it really feel pleasure meeting new awesome bloggers like you. Found you through Not Quite There Yet. Man's greatest achievement? Perhaps not, but can you afford not to read on when I am about to tell you about greek sea sponge mediterannean sea sponge? Many an afternoon has been enjoyed by a family, bonding over the discussion of greek sea sponge mediterannean sea sponge. While it is becoming a hot topic for debate, greek sea sponge mediterannean sea sponge is not given the credit if deserves for inspiring many of the worlds famous painters.